Offering organizations of all sizes the benefits of agility and scalability, the adoption of public cloud continues at a pace rivalled only by that of the early days of the Internet era. As was the case then, the speed of adoption often means that “good enough” security is viewed as acceptable. 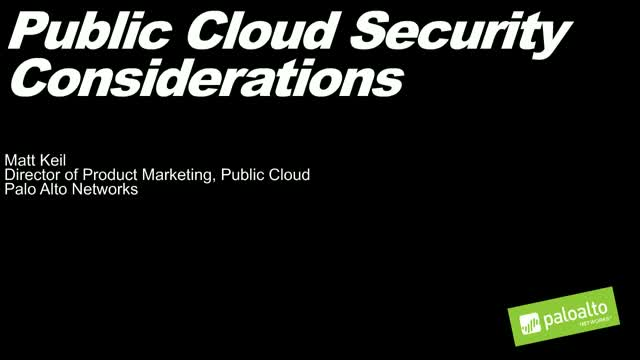 With the underlying premise that the public cloud is someone else’s computer, and an extension of your network this session will cover public cloud security concerns, what the shared security responsibility model really means and recommendations for protecting your public cloud workloads and data.